Wie wärs am kommenden Freitag um 20:30 Uhr? 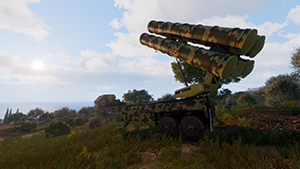 Wie schon im TS erwähnt, wer hätte Lust eine Aliens Mission in Arma 3 zu spielen? 1 Month 17 days after the destruction of Hadley's Hope, a rescue team of Colonial Marines are deployed to investigate the planet LV-426. As the Marines continue on their mission, they soon discover a xenomorph infestation has survived. As the situation escalates, the Colonial Marines find themselves in a war between the xenomorphs and Weyland Yutani secret bio-soldiers. - 3D Aliens and random spawning locations. - High quality special effects. - 75 custom textures to bring LV-426 to life. Kein Pilotenhelm, Kein Piloten-Overall, Kein Eurofighter? The NATO carrier strike group has a new addition; a destroyer-class ship with detailed interiors and new naval fire-support options. It's also capable of launching/recovering small naval vessels and helicopters. The USS Liberty is a static object that can be placed around the map via the Scenario Editor. A stationary missile system used by NATO forces that presents a beyond-visual-range threat to even the most modern of aircraft. It can make use of the Data Link via the AN/MPQ-106 radar system. CSAT's variant of a stationary long-range surface-to-air missile (SAM) system capable of engaging aerial targets from beyond-visual-range. It works in tandem with the R-750 Cronus radar system connected via the Data Link. Both NATO and CSAT receive new anti-radiation missiles, which are designed to auto-lock on ground targets that have their active radar sensor switched on. NATO fighter jets can also be equipped with new, relatively small, air-to-surface precision-guided bombs. Der EF-2000 funktioniert und ist in seiner Grundbeladung gut einsetzbar. ... von den Tornados funktioniert keiner. Ansonsten muss man bei den Kampfhelis immer mit einem Borschützen + Piloten rechnen um sein Waffenspektrum voll auszuschöpfen und die Einsatzform ist eine andere. Bei den Jets reicht ein Pilot um Luftunterstützung zu nutzen. Der CUP Harrier und die CUP A10 sind einigermaßen Jets DLC konfiguriert und können genutzt werden. 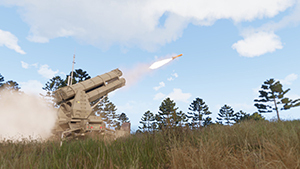 ITC Air Systems erweitert viele Funktionen und erleichtert ein paar Sachen, aber der Jet sollte zumindest nachdem Jets DLC konfiguriert sein. Breites Waffenspektrum für CAS und daher sehr gut geeignet. Die Jets von CUP oder RHS haben derzeit nicht alle Funktionen des Jets DLC implementiert und sind daher nur mit einem gewissen Aufwand nutzbar. Es gibt auch noch etliche Mods für zivile Maschinen welche ich bei Bedarf noch aufzählen kann.